There are specific investment rules that must be followed to ensure an SMSF remains eligible for tax concessions. Learn about the types of investments your SMSF can make. SMSFs offer significant flexibility and control of investment decisions. However, there are a number of rules that trustees must abide by in making these decisions, to ensure the funds are invested in order to provide benefits upon your retirement. Breaching these rules may result in the SMSF incurring extra tax. 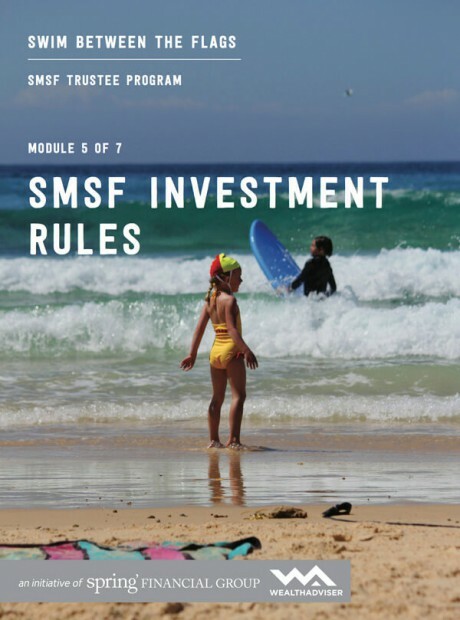 Learn about the rules relating to SMSF lending and borrowing money, purchasing assets from members and ensuring all transactions are conducted at arm’s length.